WTF Are You Reading? 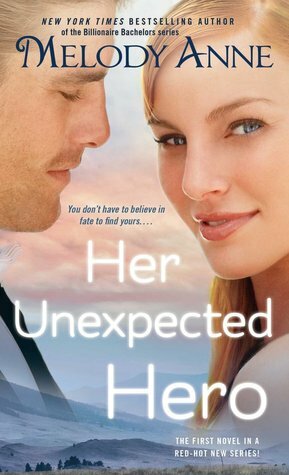 : Dramatic Romance Saves The Day In "Her Unexpected Hero"
Dramatic Romance Saves The Day In "Her Unexpected Hero"
Her Unexpected Hero draws the reader in using the lure of the unexpected. Jackson never expected to meet the beautiful and vivacious Alyssa. Brilliantly snarky, witty, vivacious, beautiful, and under his skin. For her part, Alyssa is quite the worse for wear, both financially and romantically speaking. As such, she knows that a relationship of any kind is not in the cards for her. Even as the enigmatic stranger, Jackson Whitman, proves an attraction that she can't resist. This is a book that lulls the reader into believing that it is all about the sweeter side of serendipity. As things progress however, readers come to find that interactions between these two are fated to be anything but uncomplicated. There is a bit of planned predictably when it comes to him coming to her hometown in Montana, and owning the bar at which she works. The direction in which things go from there are...surprising! make for great dramatic reading and serve to up the emotional ante for both readers and characters alike. The unexpected negative of said circumstances comes in the form of Alyssa's need to fight her feelings for Jackson to the point past stupidity. 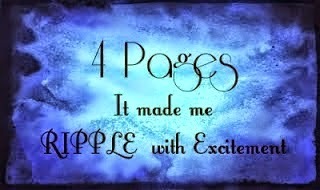 The romance gets off to fiery start, but is sidetracked by drama for a great portion of the read. The pacing of said romance is a decent mid-level heat, with nothing out of the norm sexually speaking. This is a wonderful escape for readers who like drama with their romance.